Most data classification tools don’t go the extra mile. Their technology only looks for specific terms in your documents; it doesn’t provide the intelligence you need to secure the personal information of your customers or employees. 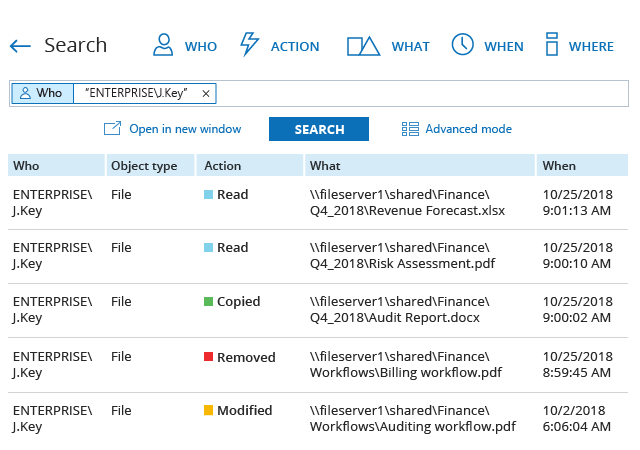 Netwrix Auditor is capable of more than simply classifying and tagging your data — it provides complete visibility into where sensitive files are, what content is inside, who can access the files and who actually uses them. 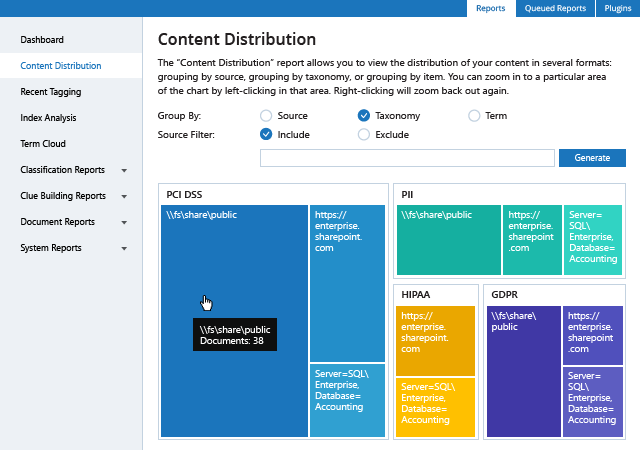 Understand what kinds of protected information you have in your data repositories, including financial data, medical records and other types of PII, and exactly where it is located. 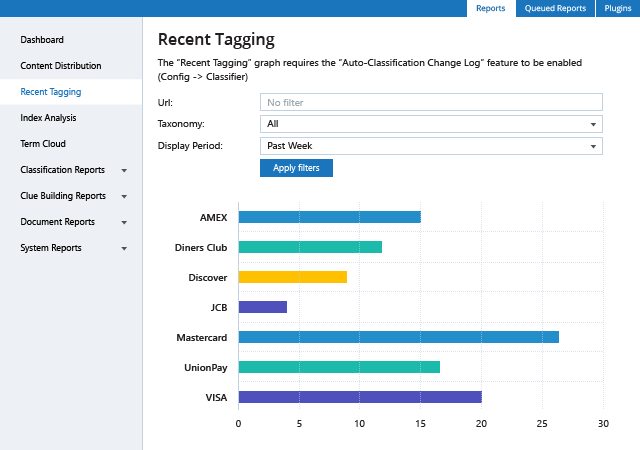 Classify and tag your data to identify sources with the highest concentrations of sensitive data, so you can design and implement risk-appropriate access controls for them first. Detect any PII, PCI, PHI or other sensitive data that surfaces outside of a secure location to minimize the risk of its exposure. See which types of data are involved, how much data is threatened and how many people can access it so you can respond appropriately. By using tags attached to your documents, your DLP solution will work only with truly critical files, allowing you to be more confident that sensitive information is protected and no unauthorized disclosure occurs. Easily determine who owns each sensitive file. Work with them to make more informed data management decisions, including creating and maintaining risk-appropriate access policies around this data. Unlike legacy data discovery tools, Netwrix Auditor enables you to review user entitlements. 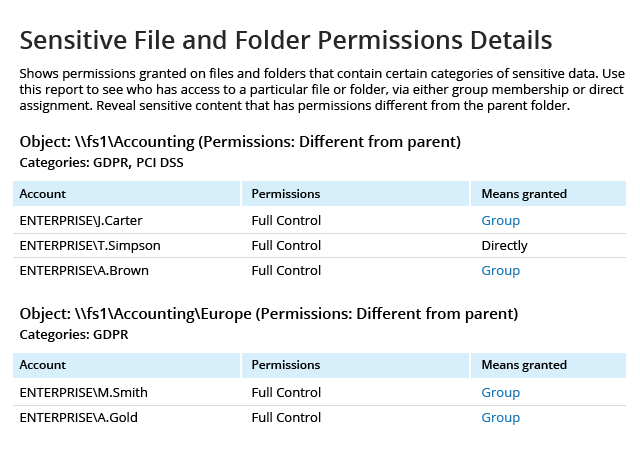 Assess whether access rights to sensitive data are aligned with the roles and responsibilities of business users, and pass this intelligence to your IT operations team so they can revoke excessive permissions. 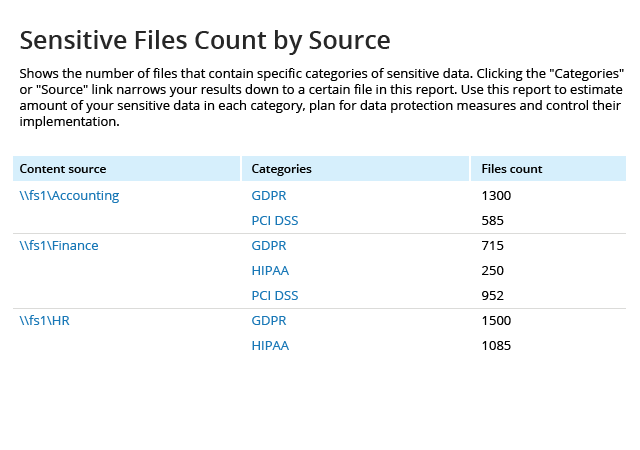 What activity is going on around sensitive data? 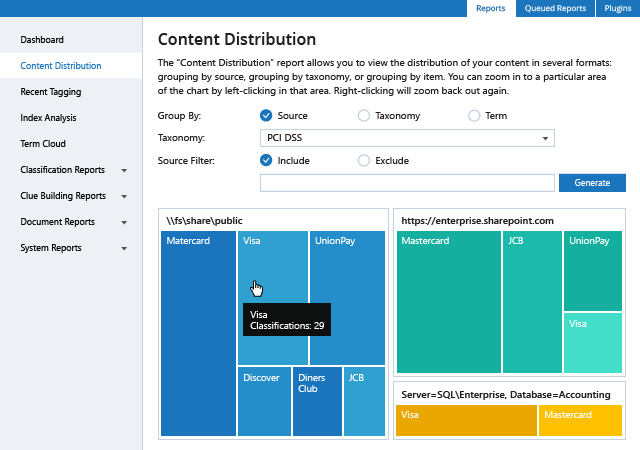 Get the full context around activity with sensitive data and ensure that events that threaten it, such as improper permissions changes or repeated failed read attempts, are captured, alerted on, reported on and stored in your database for later review. Quickly analyze exactly how a security incident happened, who was behind it and which pieces of information were affected. Use this information to prepare the best possible response to the incident and prevent similar incidents in the future. of information patterns specific to your organization and giving you results you can trust. Uses stemming so you don’t have to list every variation of each word you want to catch. Simply enter one keyword and Netwrix Auditor will match its variations automatically. Automatically identifies the compound term behind each keyword phrase that covers most of its variations, and supports partial or fuzzy matching. Shows you precisely why files were classified the way they were. Each rule that matches against a document adds to its score; once the total score hits a certain threshold, the file is classified. Enables you to play around with your classification rules and see how your changes would aﬀect the files that have already been classified. When you are satisfied with the results, you can implement your changes in production. Eliminates the need for lengthy data re-collection every time a new file appears or a classification rule is changed. As a result, you get updated information about content sensitivity quickly. Operates in agentless mode and does not interfere with your file system by updating content metadata. 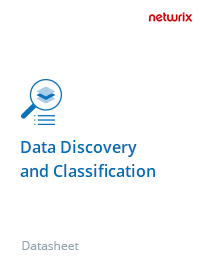 All index and classification information is collected, analyzed, stored and updated on a separate server.